Casual design meets artistic flair to create this simply striking coffee table. Its butterfly veneer layup top is complete with breadboard ends and light textural effects. 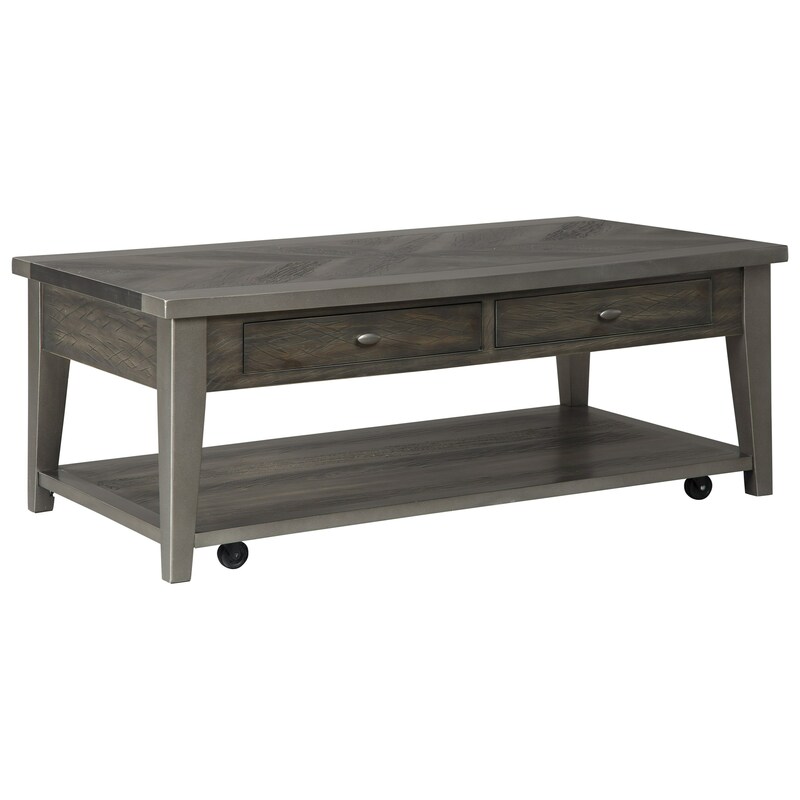 Combined with its clean lined design and sanded interior drawers, this piece is sure to shine in your living room. The Branbury Rectangular Cocktail Table with Casters by Signature Design by Ashley at Michael's Furniture Warehouse in the San Fernando & Los Angeles area. Product availability may vary. Contact us for the most current availability on this product.